Rice is a versatile side dish that can be served with meat, fish and vegetables. So it is crumbly, it is necessary not only to abide by the rules of its preparation and use for cooking any variety. The rice turned out crumbly, take for cooking long-grain. The beans do not stick together during cooking, it is used for garnish. Soak long grain rice for 20-30 minutes in cold water. After this time rinse it several times until, until the water is clear, with bean wash off the peel, dust the excess starch. Place the rice in a pan for cooking, fill it with cold water and leave for 1 hour. The water should almost completely soak into the grain. Add in the rice and more water and cook it on low heat, not stirring, for five to seven minutes. To cook crumbly rice the second method, rinse and soak in cold water for 15 minutes. Drain it on a sieve that water glass full. Warm skovorodko and add the rice. Stir the rice until the water evaporates completely. Then visiplate it in a saucepan with water or vegetable broth, bring to a boil, then reduce the heat and cook the rice under the lid for another 10 minutes. Prepare crisp rice third way. Rinse the rice until water clarity. Put a pot of water on the fire as soon as it boils, stir into it the rice. Bring the rice to a boil, drain in a colander or sieve, then it must be rinsed with cold water. Let the water drain out. Then put the rice in cold water, put the saucepan on the fire stove and, stirring, cook until tender. Do not add salt while cooking the rice add salt already in the dish. Cook the rice on very low heat, otherwise it will burn. For cooking rice it is better to use pans with a thick bottom. Very easy to prepare crisp rice from parboiled grains. Loose the rice will taste better if you cook it meat, vegetable or fish broth. 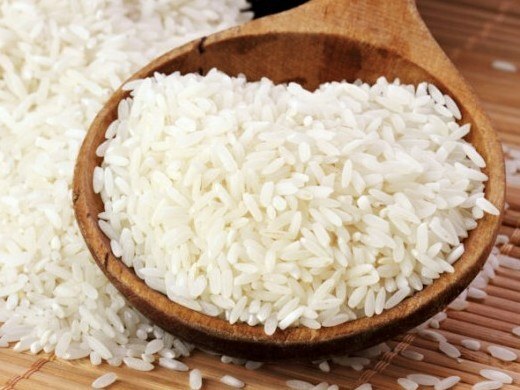 Cold rice can be reheated in a pan, add the oil, and it will again become loose.